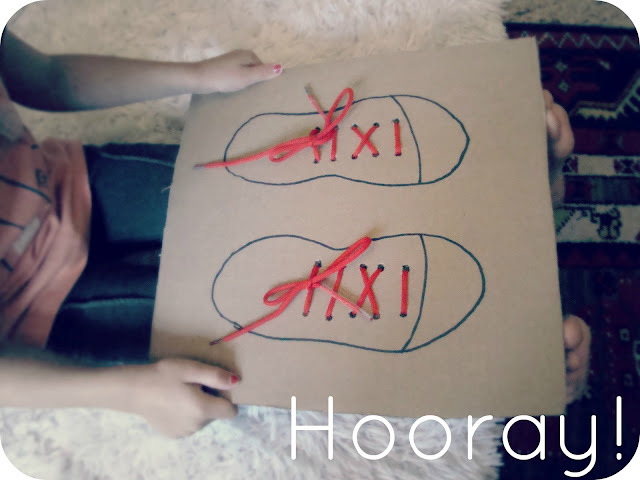 Shoe Lace DIY Craft with Cardboard for your Kids! This one’s strictly for the kids! We’ve been doing a lot of detailed stuff out here, so we thought of doing something that is easy, practical, and provides some quick learning for the kids. 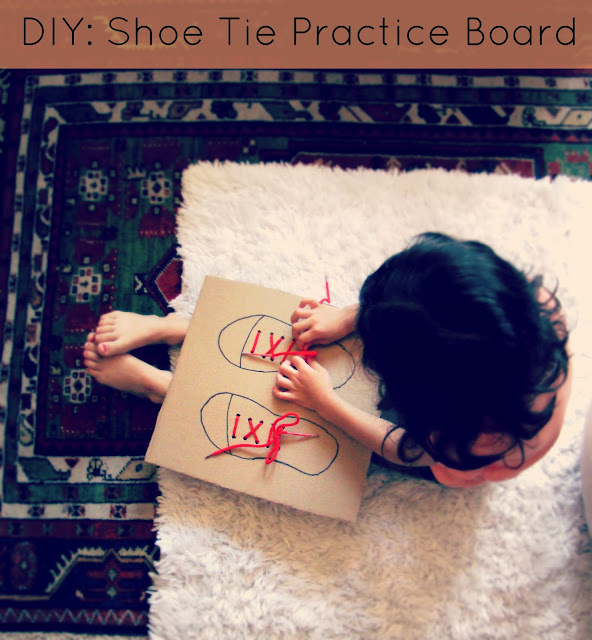 To all the mommies out there, help your kids learn how to tie their shoe laces (so that they do not fall down and hurt themselves), and let them paint their cute cardboard shoes so that it can adorn the walls of their room. Take a cardboard sheet and lay down your kids shoes on it. Now trace a line along the contours, so that a shoe like image is made. Repeat the same with the second shoe. Form a line towards the top of the shoe, so that it demarcates the toes from the rest of the foot. Draw ten dots on both the shoes, so that it can be used as lace holes. Strictly for adults: Lay down the cardboard sheet and use a screwdriver to puncture holes in it. Spin the screwdriver around, as this will pierce the sheet and form tiny holes, where the shoe laces will fit in. 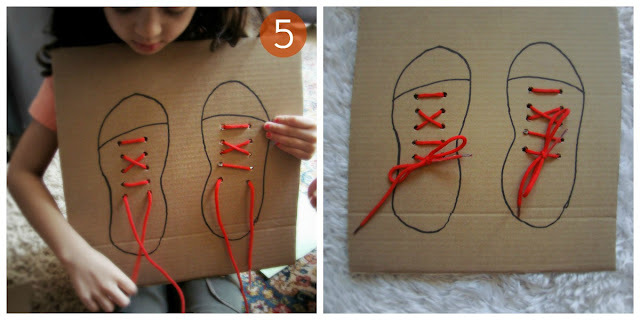 Thread the laces through the holes you’ve created and make lace tying a fun experience for your kids! Let your kid colour his cardboard shoes and hang it on the wall, once he thoroughly learns how to tie his shoelaces.